It's no ground-breaking news to you if you have been following KBT for a while, but I tend to lose my mind slightly when it comes to candles. 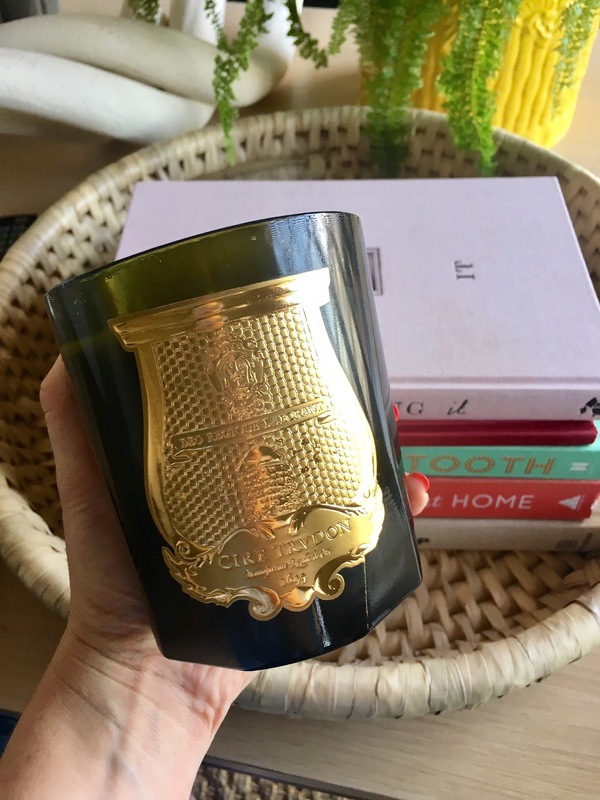 It all started when I decided that a luxury candle would be a nice item to purchase whenever I went on an overseas trip, the only problem is I am unable to stick to buying just one (and basically just buy them at any given opportunity - overseas trip, or not!). Because of this obsession, I simply can’t burn these candles fast enough, so have started a rotation system depending on the time of year, my mood and the weather (yup, I have officially lost my marbles). 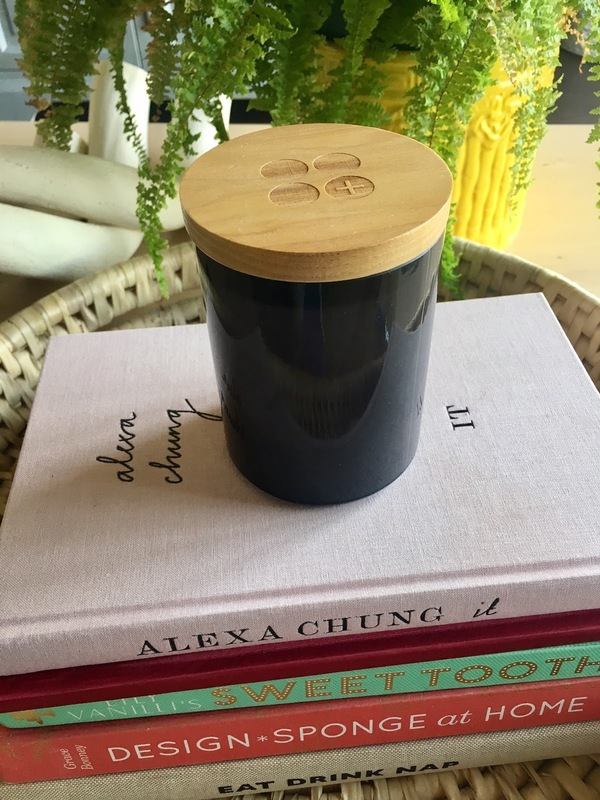 The bottom line is a beautifully fragranced candle just brings me so much joy and makes my home (which is a very dear space to me) feel tranquil and smell beautifully; all helping me relax after a long day. I have different scents suited to different parts of the home and get as much joy out of the beautiful packaging as I do about selecting the new scents I want to try. 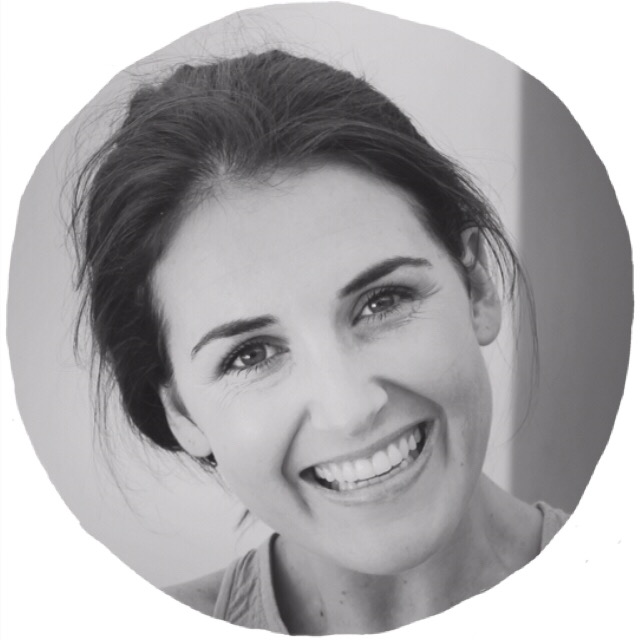 I am so excited to tell you about these candles as they are new on my radar and locally made right here in Cape Town. The candles are hand poured in small batches and use only the best quality natural oils as well as a beautiful premium 100% soy wax.. The candles come beautifully packaged (these are the real deal with no expenses spared) and have the most incredible array of scents to choose from. I got the Pink Petal (Rose, Grapefruit and Rosewood) and Cedar Chest (Mandarin, Petitgran & Cedarwood). It's seriously hard to pick my best here as they are both UNREAL, but Cedar Chest would have to be it. 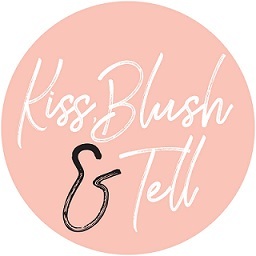 Go check out all their other options on their site (I also hear they are launching some new winter scents soon!). These candles make the ultimate gift on every level; the packaging, the scent (options and the longevity when burning) and just how luxurious they feel. R350 and they have an online store - yay! 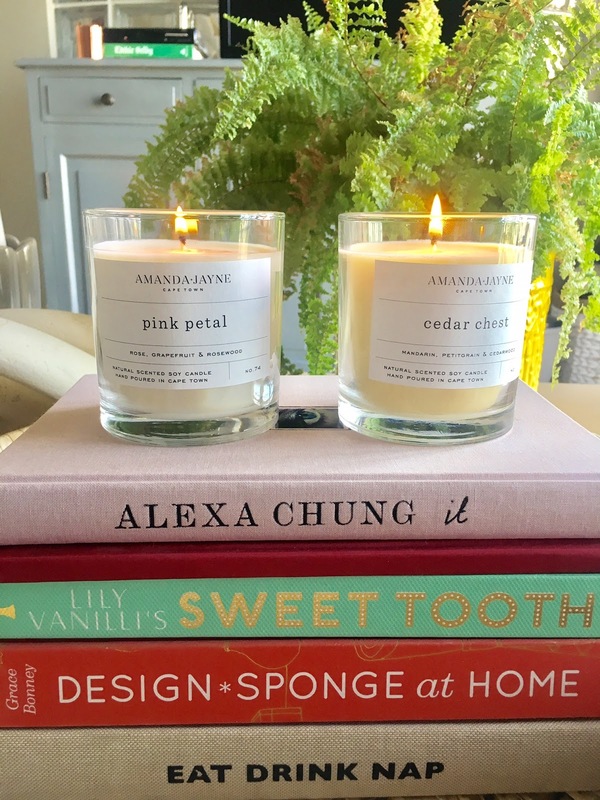 As I side note, I also got the glass dome (seen above) to cover my Amanda Jayne candles - I hate it when dust settles on the candles so this preserves the scent as well as keeps them dust-free (and looks chic in the home) - you can get it on her site for R140. Probably my all-time favourite candles but, alas, they do not come cheap. My recent additions are the extra large black Bais and the extra large Ambre. I have owned a large Bais before and love the scent (I actually bought the room spray too on my recent trip). Both smell incredible and fill the room with the scent after 5 minutes of burning - they are exquisite. I also got myself the limited edition Rosa Mundi - I must admit, I fell for this one because of the simply beautiful packaging but am also a huge fan of rose scented candles, so knew I would love it. I also adore these candles as the jars look beautiful reused as cotton wool holders or make up brush holders. R1200 each for large. Charlotte Rhys candles are locally available and very affordable (as far as luxury candles go). I love the fact that the candles come in a black glass jar with a silver lid, which looks lovely as well as keeps dust from settling on the candle. My favourite of her scents has to be the No 17 and the Spring Flowers. 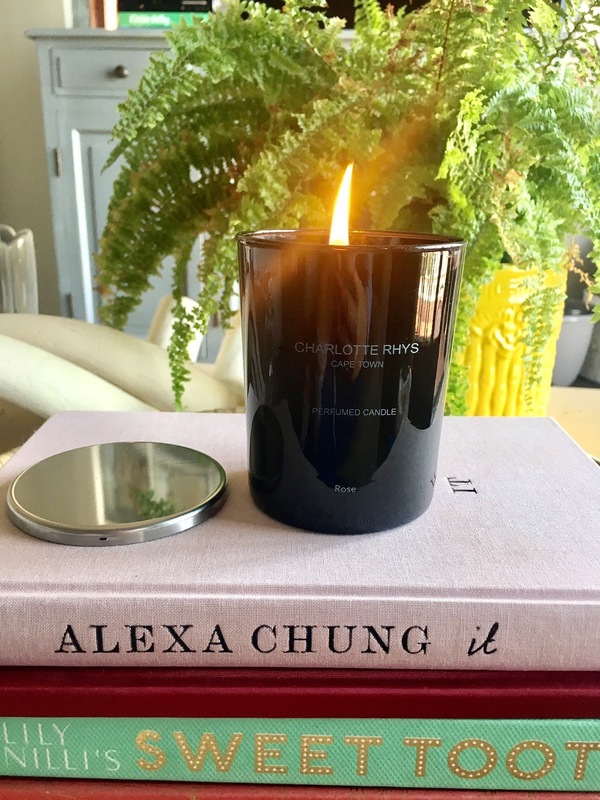 Charlotte Rhys candles are also really accessible - they can be bought online or in any of her stores, with beautiful packaging to make it feel very gift-worthy. The candles burn beautifully and have a good scent that doesn't smell generic or too over-powering - these are probably the least 'potent' when it comes to scent distribution in a large room but I know some people prefer this. Buy online here. I wanted to mention Cotton On candles as these really are brilliant value. I picked up a few a while back in the 'Firewood' scent. I absolutely love them and can't tell you how good the quality is. They burn evenly and perfectly, the scent is pretty good and they are around R150 each! The only down-fall here is a lot of their scents are a bit 'cheap' smelling, but there are a few that are really lovely! They really are good value for money and generally come in very understated, pretty packaging. I'm a fan! These candles are super pricey and not for everyone. I do realise that R1600 on a candle is excessive but each to their own! I got two of the Abd el Kader scents as this really is my favourite - think hot mint tea. Ginger, Clove, Jasmine and Vanilla. I mean!!! I also know that when I finish these two candles I will definitely be re-using the beautiful packaging; their signature bottle green glass vessel with the gold plaque is so elegant! 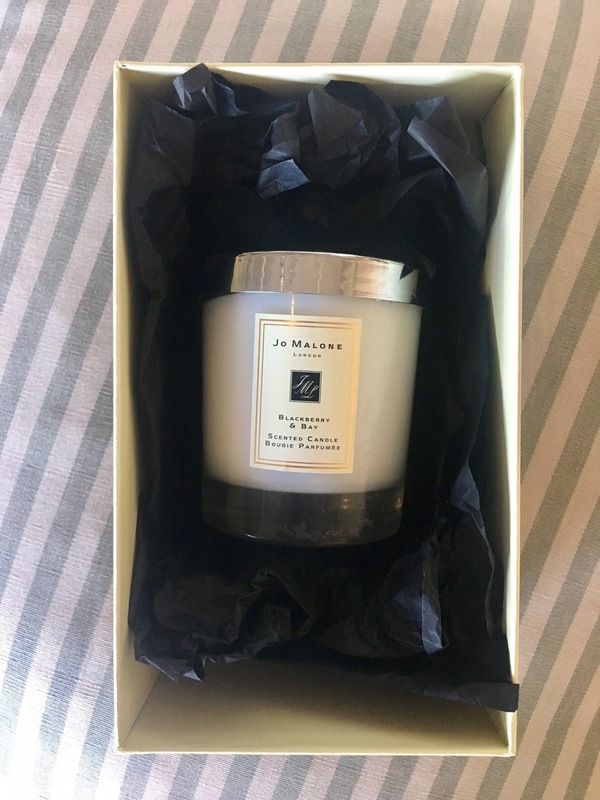 I absolutely love Jo Malone and everything that comes out of this brand - their candles and diffusers are some of my favourites and I'm currently contemplating when I am going to splurge on their Red Roses diffuser (my other one has just finished). Their candles are the perfect gift as the Jo Malone packaging is just so indulgent! Fab scent range, brilliant quality and simple packaging - as one would expect with their super high price tag!!! R800 per candle. Jo Malone stores can be found at selected shopping malls (V&A and Canal Walk in Cape Town and Sandton & Hyde Park in JHB - plus a few more malls but those one's stick out to me). I also wanted to touch on candles that I haven't pictured here but want to mention - the Soy Lites candles are really lovely. They have good scents but can sometimes burn a bit messily (which I think soy wax can sometimes do). They are R195 and readily available - online and Wellness Warehouse. Also the Country Road candles in my opinion are rubbish - I have bought and burnt SO many now. They aren't cheap and do have lovely scents and simple packaging but the scents don't last long or diffuse well and the candles burn in a narrow tunnel, leaving so much wasted wax. Lastly, you may be wondering what the difference is when it comes to high-end vs your more affordable candles - a lot is to do with the quality of the fragrance used - so when burning the above-mentioned candles, you really don't need much burning time before the entire room is filled with the scent. I also think a lot of the money you are paying for is the brand so that may seem ridiculous for some, which I totally get. I do know, however, that there are readers of mine which have this obsession just like me, so wanted to share this for you ladies. Also, candles are amazing gift ideas for those women in your lives who seem to have everything under the sun, so I hope this can assist you next time you are stuck for present ideas.